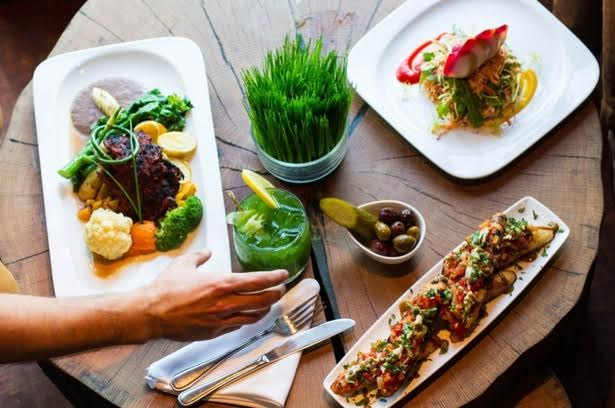 Experience a healthy and delicious lifestyle this May as the Toronto Vegetarian Association (TVA) celebrates its fifth-annual Veggielicious festival — a two-week gastronomic extravaganza celebrating compassionate, mouth-watering cuisine. From May 6-22, 2016, more than 40 participating GTA restaurants and cafés will feature exclusive vegetarian and vegan prix-fixe menus and other specials to tickle the taste buds. Veggielicious features range from $15-$40, with each meal packing its own palate-pleasing punch. The event features vegan bakeries, veg restaurants, and other locations with delectable vegan options. The United Nations study estimated that animal agriculture is responsible for almost one-fifth of dangerous greenhouse gas emissions. As a result, opting for plant-based foods is a great way to eat healthy, reduce cholesterol, and remain environmentally friendly. For fans of veg-friendly fare and newcomers alike, Veggielicious has something to suit everyone’s taste while inspiring to choose a healthier, greener, more compassionate lifestyle through plant-based eating. Participants for 2016 include Yamchops, Kupfert & Kim, Prairie Girl Bakery, Doug’s Public Kitchen, Tabule Middle Eastern Restaurant among others. Please visit http://www.veggielicious.ca/ to access a more detailed list of this year’s Veggielicious participants. For more information, please visit the TVA. Follow @TorontoVeg or ‘Like’ them on Facebook. The Toronto Vegetarian Association is Toronto's go to resource for all things veg. We organize North America's largest annual Veg Food Fest, which attracts over 40,000 visitors each September. Our mission is to inspire people to choose a healthier, greener, more compassionate lifestyle through plant-based eating.